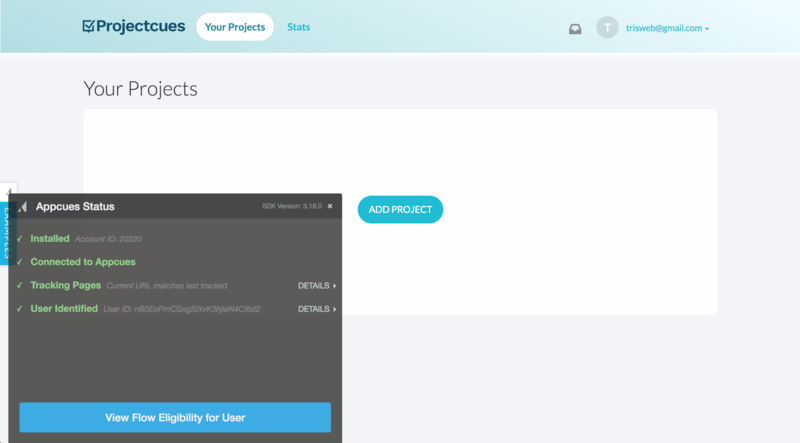 The Appcues debugger is our most straightforward troubleshooting feature. It allows you to quickly spot the root of a problem, so you can get things working again fast. 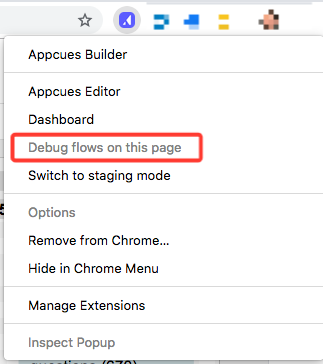 If you're on the URL where your flow(s) should be showing, and you've already downloaded the Chrome extension, you can right-click the Appcues Chrome Extension icon and choose "Debug flows on this page..."
If you have the Chrome Editor open, you can access the debugger from the Help (?) menu to the left of the 'Preview option'. Just select 'Launch the flow debugger'. Your editor will close and the debugger will appear on your page. If you're logged out and not seeing a flow that you should be, you can add ?hey_appcues to the end of your URL and press enter. 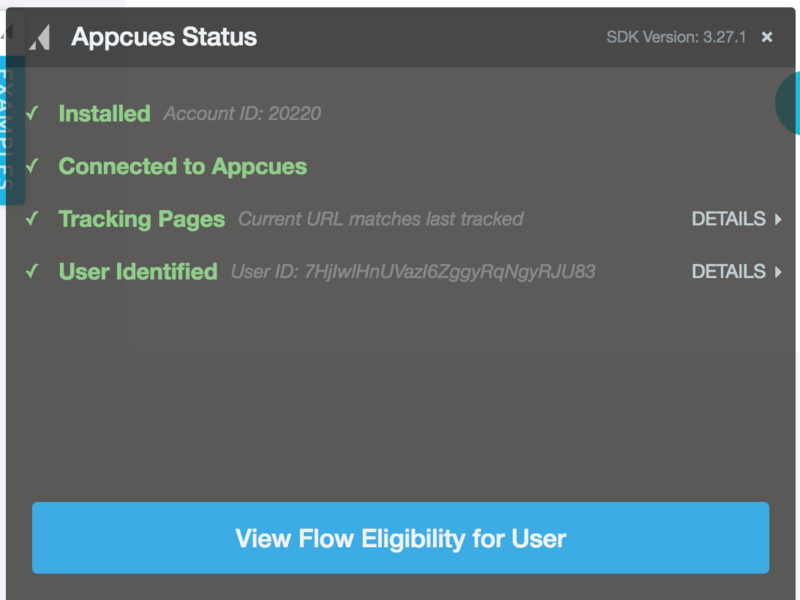 Note: the Appcues status box below will stay on throughout your session until you close the panel. To open your console use the appropriate shortcut below. 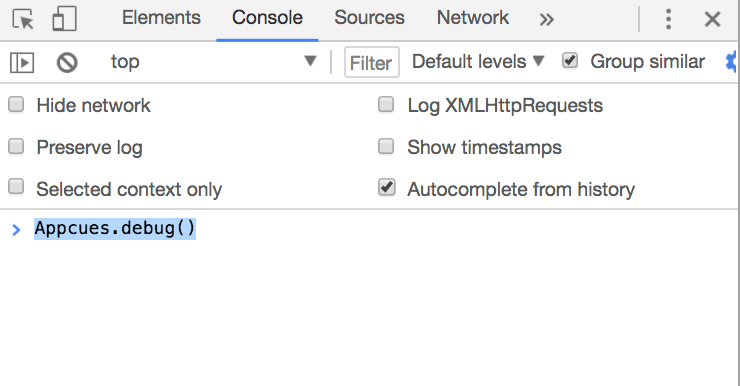 Once your console is open, you'll enter in Appcues.debug() in the open spot and hit enter to bring up the debugger. If you have further questions on the above, please feel free to reach out to support@appcues and we'd be glad to assist!